National Geographic has always been a great source for exciting and informative content, traditionally focusing on geography, history and world culture. 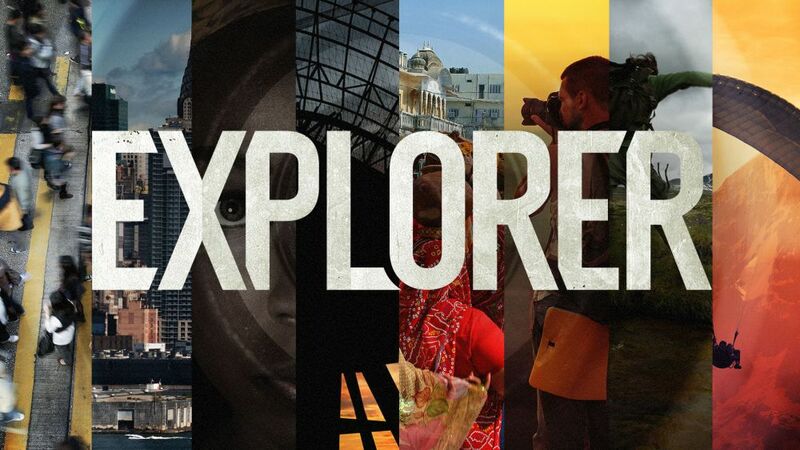 And in 2016, the Nat Geo team reinvented their programming to focus more on Science, Adventure and Exploration, exemplified by the launch of their new series “Explorer”. 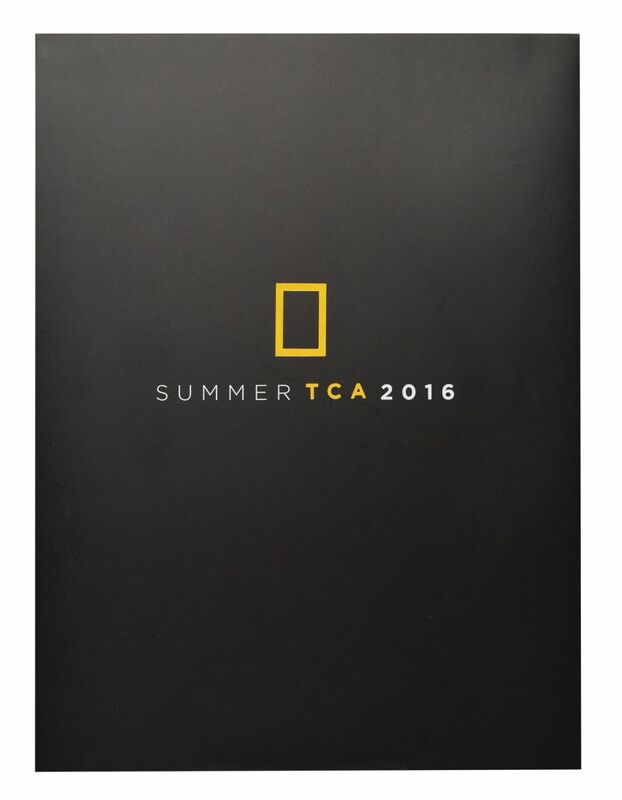 In order to promote their new programming, the Nat Geo team wanted to share their new fall schedule with the Television Critics Association. They wanted to tell their story about their new vision as well deliver teaser video clips of upcoming shows. By never being “afraid to push into unknown territory”, the Nat Geo team decided to partner up with Americhip to design and produce an innovative direct mail piece that included Americhip's Video in Print technology. Video storytelling was clearly the best way to deliver content right in the hands of the Television Critics Association. 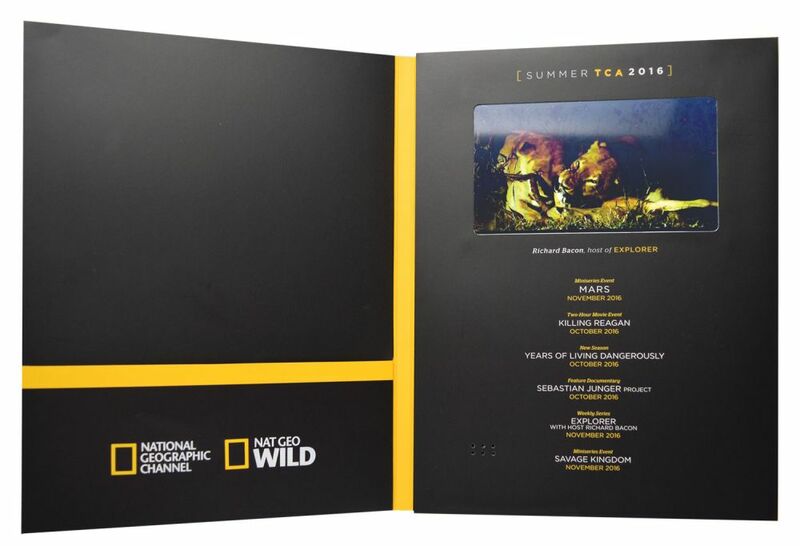 The large 9” x 12” Video Book included the full list of new programming and upon opening, it automatically played a video narrated by Richard Bacon, the new Explorer Series narrator. In the video, Mr. Bacon details the background behind the new series and how Nat Geo’s CEO decided to take this new direction. The video goes on to tease the audience with small clips of each new show along with the famous names behind the production of the each new series. The Nat Geo Video Book included a 7” LCD Screen and was constructed of soft touch paper creating a high quality look and feel. The video book also included a pocket on the inside cover for additional literature. Nat Geo elevated their promotional campaign with Video in Print. They not only conveyed their new vision of Science, Adventure and Exploration, but also innovation.